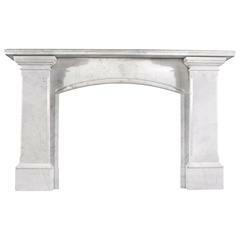 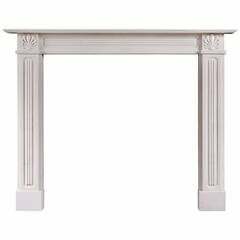 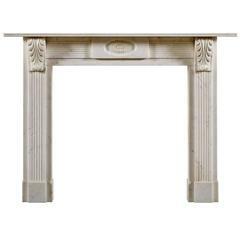 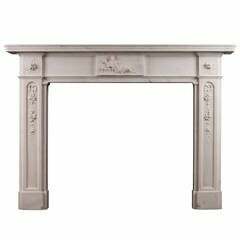 A late Regency period English fireplace of architectural form in pencil vein Italian Carrara marble, with matching moulded jamb and frieze panels. 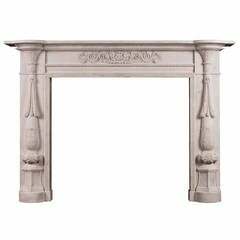 The scrolled corbels with conforming mouldings, supporting a substantial rectangular mantel. 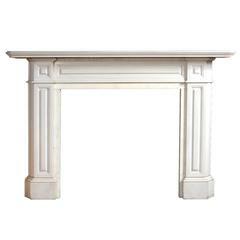 The whole raised up on square foot blocks. 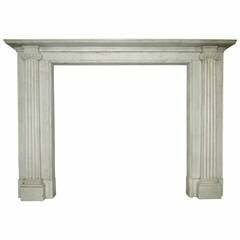 Measures: 157.5cm wide x 120cm high x 25.5cm deep. 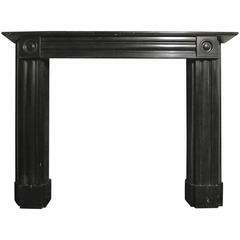 Opening 91cm wide x 97.5cm high.